A Totally Unique Large Group Self Catering Holiday Home. Enjoy Exclusive Use of Your Own Converted Village Pub! 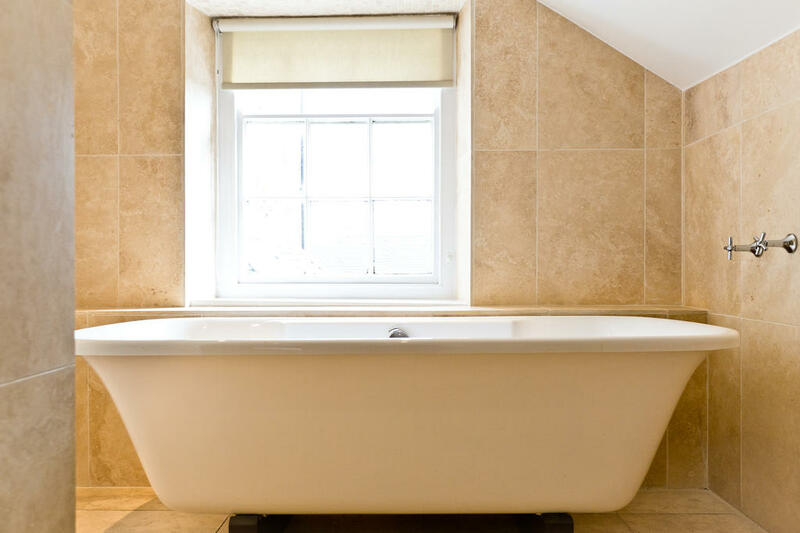 The spa town of Buxton is close by and the popular market towns of Bakewell and Ashbourne are both within 20 minutes’ drive away. Chatsworth House, Haddon Hall, Tissington Hall and Alton Towers are all within a half hour drive. Situated in the centre of the peaceful rural village of Longnor, with a couple of pubs, a popular fish and chip shop, local village shop and cafe/tea room. Perfect for outdoor enthusiasts, cyclist, walkers, adventure seekers & family groups. 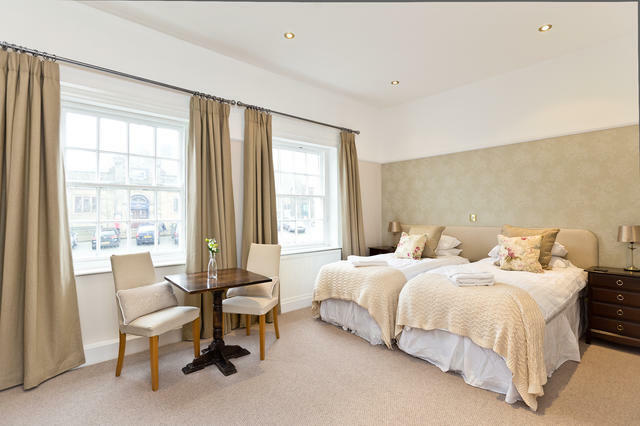 Keeping many original features such as exposed stone walls and beamed ceilings yet adding plenty of contemporary colour, coordinated wallpapers and fabrics, each bedroom has been refurbished with warm Farrow and Ball colours, luxurious bed linens, neutral carpets and fabulous curtain fabrics. The Crewe & Harpur venue comprises of 4 dwellings ( a main building and three traditional stone built cottages in the private courtyard). 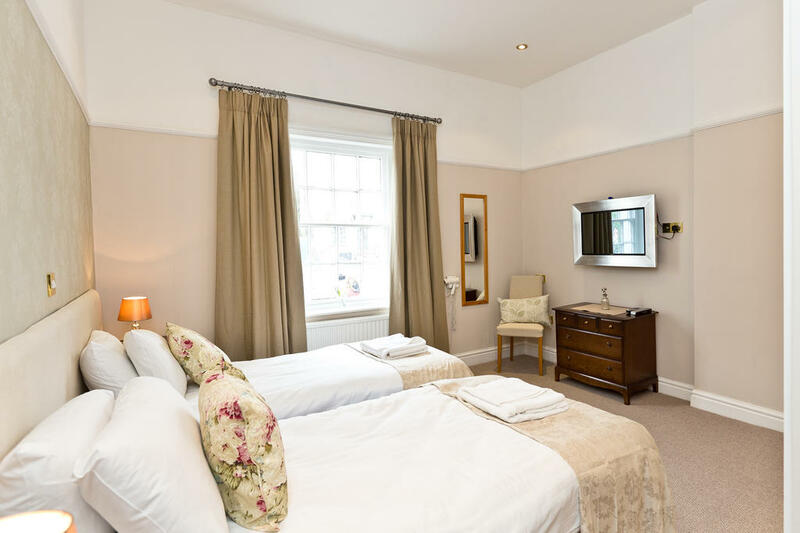 There is a total of 17 boutique style bedrooms with 14 beautiful en-suite or bathrooms with most facilitating doubles or twins providing flexible sleeping arrangements for larger groups. 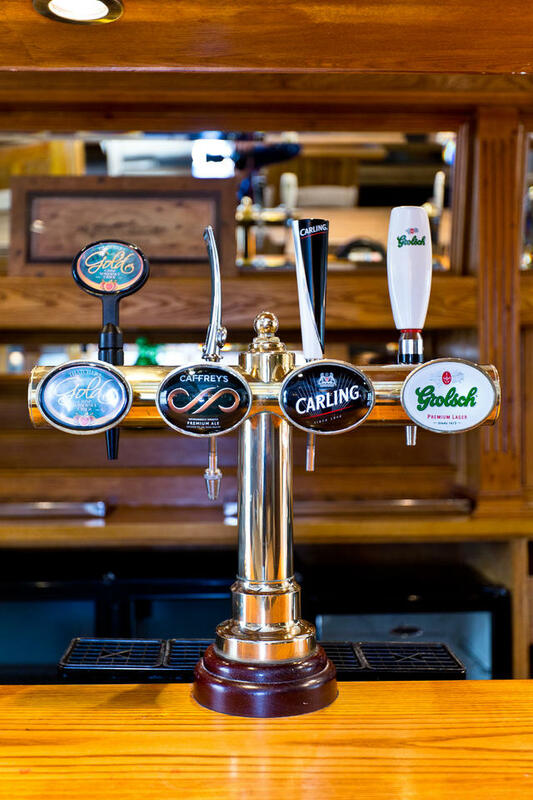 You can enjoy dining within the original bar area which creates a great 'traditional pub' atmosphere. Share each others company around the solid oak tables hand made by local craftsman which offer flexible seating options so you can choose how you wish to dine together. We can also help with putting a keg of local ale on so that you can pull your own pints or you can fully stock the bar as you wish (please note you cannot supply your own beer for the pumps). 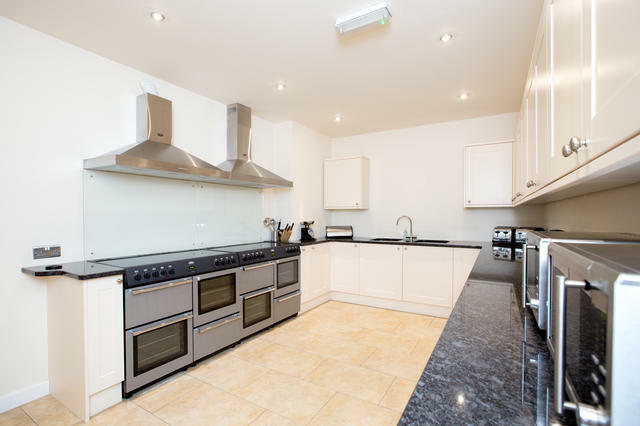 The fully equipped kitchen has two double range cookers, an abundance of cookware, microwave and crockery/utensils/glassware. The main kitchen leads through to the utility room where there is further storage cupboards with plenty of work surfaces, two dishwashers, washing machine and sink areas. As the property is so well equipped, you can totally self cater or use one of our many highly recommended outside catering contacts. 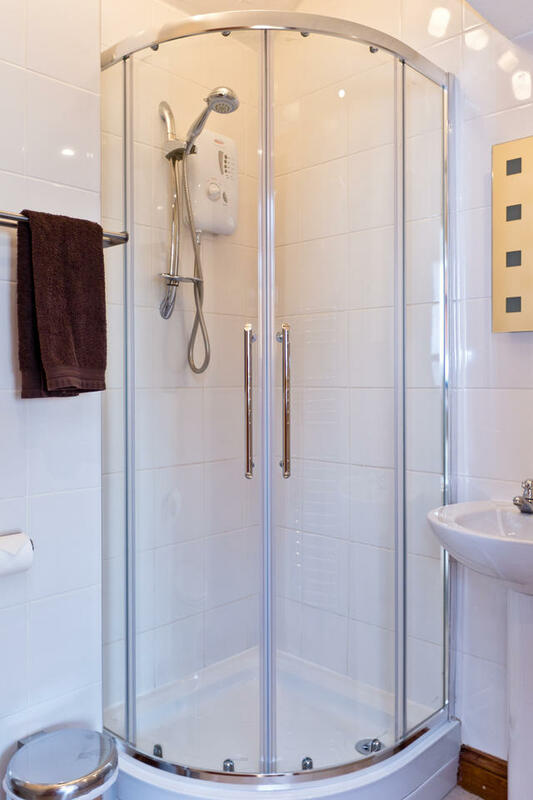 The Crewe and Harpur has an abundance of social areas and communal living space. The huge lounge furnished with an eclectic mix of vintage Chesterfield Sofas makes a great area for relaxing. Move through into the bar and dining room and you can perch on a bar stool at the fabulous original oak bar which can be stocked as you wish (please note we have to supply the beer kegs for the pumps). There is plenty of glassware, drinks/wine fridges and even an ice machine behind the bar. With plenty of seating the bar is furnished with a mixture of bunkettes, benches and dining chairs and enough tables for everyone to informally get together and enjoy each others company. For your added entertainment a real pub would not be the same without a games room complete with a junior table tennis, table football and a dart board . Please click here for full site and floorplans. A paved patio to the rear of the venue enjoys views over the valley towards the River Dove. Just off the private car park there is a small lawned garden. 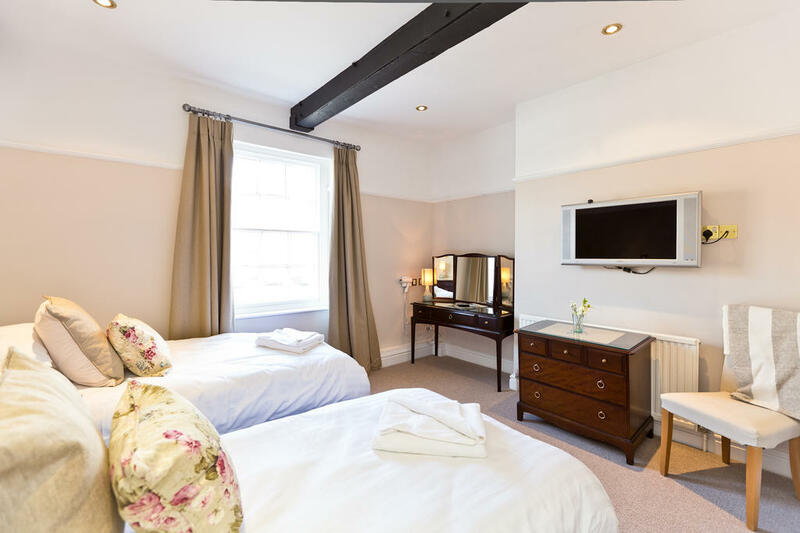 The Crewe and Harpur occupies a fabulous position right in the middle of the old market square of the village of Longnor. Surrounding the market square you will find a couple of pubs, a popular fish and chip shop, local village shop and cafe/tea room. The village of Longnor is positioned in the Staffordshire Moorlands between the River Dove to the East and the River Manifold to the West, making it an ideal location to see this stunning national park. There are nearby caves and caverns to explore and The Roaches, with Hen Cloud and Ramshaw Rocks providing an abundance of rock climbing, cycling and walking. Dove Dale with its reowned stepping stones and the Manifold Valley are both within easy reach. You have arrived at The Crewe & Harpur! The following comments are taken straight from the guestbook we keep for Crewe & Harpur. Verbatim. Thank you for providing the excellent accommodation for our stay this last weekend. All my guests commented on what ideal accommodation it was. It was a very successful weekend. We had a lovely time at the Crewe and Harpur once we got there!! Had fun in the snow. Thanks so much for the use of the Crewe and Harpur, it was amazing and suited our hen party really well - we had a fab time!! We had a great time staying at the Crewe & Harpur! Thank you to all for another fantastic weekend. 2 years in a row and we’ve had a fabulous time in an ideal setting. We all had the most amazing time! A perfect venue for a celebration. I am sure you will see others making bookings following their experience. From start to finish, including the help from Peak Venues, has been just wonderful. We all had the most fantastic time , the venue is superb and thanks for all your assistance. Thanks so much, we had a brilliant time. The pub was absolutely perfect! Thank you for the amazing weekend, it was a wonderful venue! We had an absolutely fabulous stay at The Crewe, thank you. After all the changes along the way, we ended up with 29 adults, 4 children, a baby and a dog. I can’t think of a venue which could have accommodated and been better suited for the range of ages and interests (and animals) than the pub. It was easy catering for a large number and the facilities are excellent. 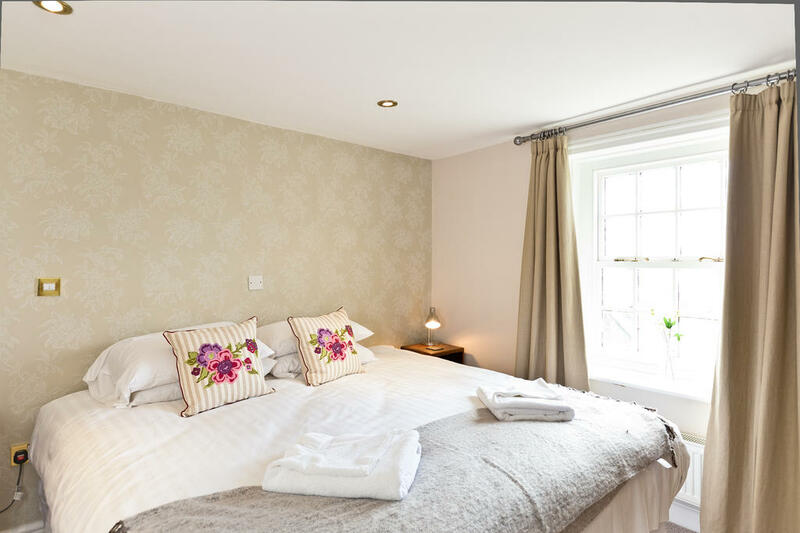 The bedrooms were beautifully prepared to our requirements and the pub and all the cottages looked lovely. The table football was a real hit, I’m surprised we didn’t wear it out! We had a bbq on Sunday, and the sitting area outside was perfect (and the sun was shining) and the flowers in the baskets and pots were lovely. The arrangement you have with Sauced Here worked excellently. The quality of their food was brilliant and we were so pleased to be able to use local produce rather than supermarkets. The logistics of having to bring all the food we ordered from Sauced Here from home would have been very difficult so ordering it online made the whole weekend more straightforward for us. Having the beer laid on in the pub was also a great idea and the arrangement you have with Whim Brewery worked without any hitches. Thank you for your part in making our weekend celebrations run so smoothly and enjoyably. We would be happy to recommend the venue to others. We had a fantastic stay at the Crewe and Harpur, really couldn’t have asked for a better venue! Many thanks, this is the second time we have used the Crewe and Harpur for a family gathering, and everyone had a great time as before. Thank you soooo much for an excellent weekend. We all had an amazing time and what a great venue! The best big house we've stayed in to date, so if we can we'll no doubt be back! Thank you for providing the venue for our get-together. We all thoroughly enjoyed ourselves. Thank you very much. I absolutely loved my stay and would definitely recommend you or even come again myself! Thanks for the customer service I've received along way, you've all been really helpful! We had a fabulous weekend at the Crewe & Harpur, perfect venue for 30 ladies to celebrate my 40th Birthday! Excellent venue / weekend, which was thoroughly enjoyed by all who attended. I just wanted to email to say how much we enjoyed our weekend at the Crewe & Harpur. Everything was professional and friendly from the minute we booked. The regular emails prior to our arrival made us feel confident and well informed. We started our weekend with a lovely lunch at the Royal Oak and from then on it got better and better. 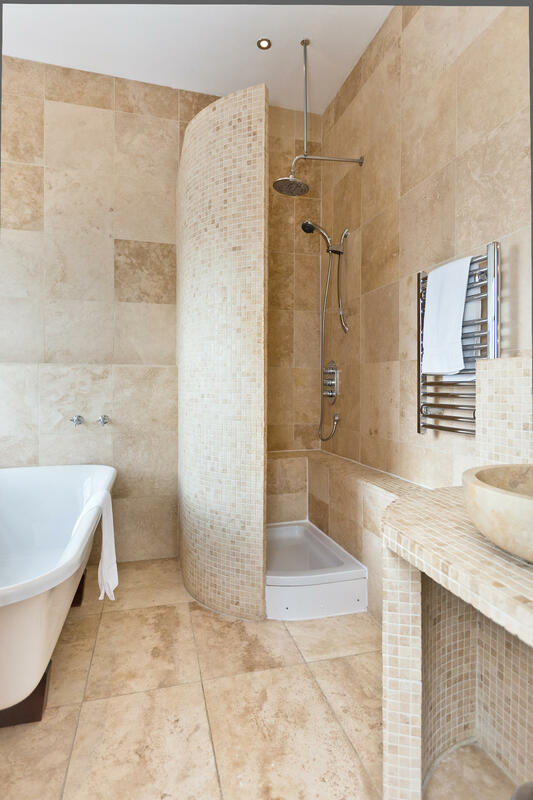 The property itself is lovely and the attention to detail is really noticeable. 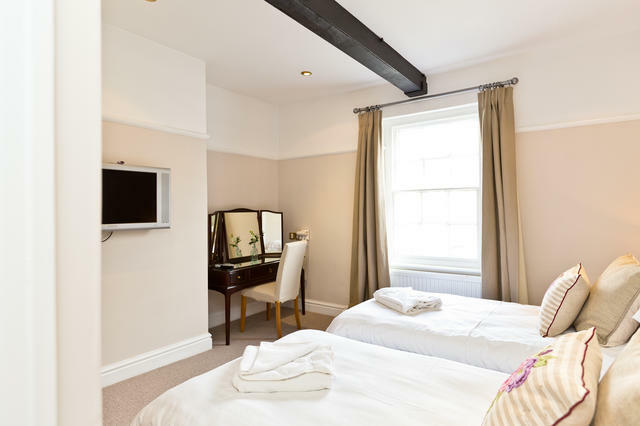 All of the bedrooms have been nicely decorated and kept in good condition. The photos of the bar area really don't do it justice, it's a brilliant space and was the main hub. The property was so well equipment and we didn't want for anything. We had an Asda delivery on the Friday afternoon which was easy and no problem. On Saturday we booked clay pigeon shooting at Yeaverley Estate which we would highly recommend and Luke at the Executive Chef which was exceptional. All our guests thoroughly enjoyed themselves and we are looking for an excuse to book again. We very much enjoyed our stay. It was a very comfortable, spacious, venue. Can we extend a HUGE thank you to you and all your staff! We had an amazing celebration at the Crewe & Harpur last weekend for my mum and dad’s 60th wedding anniversary! The age range went from 2 year old to 81 years of age! The venue is lovely and homely and as the majority of the party were in their late twenties, early thirties, they loved the bar area and dart board and football area were a huge hit! We dressed the tables for the celebration night, and I attach some photos for you to see. We were extremely lucky with the weather, and even encouraged most of the young ones to venture on a walk on the Sunday! We had a meal on the Sunday at the Packhorse and were looked after well by Mick and Sharon. We had a great stay at the Crewe and Harpur and thank you for everything. The Crewe & Harpur was fantastic and everyone loved it as a venue. What a fantastic holiday:) Thank you so much, it just didn’t last long enough! Please pass on thanks to all the team we had a brilliant time and my Father was over the moon with it all. We had a great stay at the Crewe & Harpur and will hopefully be back at some point. Well, what can I say! From the moment we arrived at The Royal Oak to pick up our keys for The Crewe and Harpur we were delighted. We received a lovely warm welcome, and the friends that met us there for lunch were really impressed with the lovely food there. We followed Josh to the Crewe and Harpur - and got a chance to drink in the fabulous scenery - the location is absolutely beautiful. The pub was just perfect - I booked it to celebrate my 50th birthday, and invited 28 of my friends - everyone's room was fantastic - and really lived up to the photos on the website. The bar and lounge areas and outside area were ideal for our group - we loved using all the bar accessories! The kitchen was perfectly equipped for a large group - we had all we could ever need, and more. And then there are the wonderful walks and the pretty village to enjoy - it really couldn't have been better, and I would highly recommend it. I would like to thank you for making my friend's stag do the most memorable few days of his life. Everything was perfect and we could not have asked for more. We had an amazing weekend, thank you!! Such a fantastic venue. We had a fantastic weekend last week in spite of the weather ! and everyone in our family all commented what a great venue the Crewe and Harper was. We had the most wonderful time, everything about our weekend was perfect from the food we had delivered to the activities we organised on your recommendations. I will definitely tell all of my friends and family to leave reviews! We are already planning our next visit with you in one of your beautiful properties. I came here for my hen weekend in July with 30 of my closest friends and family! The hotel is amazing! The whole pub and cottages were beautifully decorated and the idea of having your own bar for the weekend was fab! The events and caterers the Crewe and Harpur recommended were fab too! Will definitely be back at this wonderful accommodation & will 100% recommend Peak Venues to everyone I know. Thanks again. We all had a great time, the venue was perfect for the weekend, thanks! We had a fabulous time and the venue was excellent. I have already passed the details on to many - who seem especially excited by being able to pull their own beer. We had the most amazing weekend, enjoyed by all. It really exceeded our expectations. We had a fantastic weekend at the Crewe & Harpur. What a fantastic venue! Thank you for making my sister's hen weekend so special. I would just like to say that the accommodation was exceptional!the facilities and rooms were to the highest standard and perfect for our weekend away. Thanks for an amazing weekend at The Crewe and Harpur - what a fantastic venue! We will be sure to return at some point in the future, and will definitely be recommending you to family and friends :-) The accommodation suited our needs perfectly, and the Indian banquet I had organised from Maazi on Peak Venues’ recommendation was second to none, and went down well on the Saturday night!! We had a fabulous time at Crewe and Harpur- great for a family of all ages and enough space to hide from the weather! We had a fantastic weekend at the Crewe and Harpur and it very much exceeded our expectations. We had a fabulous time at the Crewe and Harpur. So much so, that we are now considering booking it for Christmas 2017. Many thanks. We had a wonderful stay and all the guests enjoyed it too. The Crewe and Harpur really is a wonderful place to stay. We had a wonderful weekend and the place is truly fantastic! I will definitely be recommending it to friends and family! Many thanks for a fantastic weekend, everyone thoroughly enjoyed their stay in the Crewe and Harpur pub it was an excellent venue for a party and the facilities were perfect. The guests thoroughly enjoyed taking it in turns to pull a pint at the bar and the look on their faces said it all! A truly memorable weekend, thank you. Thanks so much for your email. We thoroughly enjoyed our stay - its such a great concept that l'm happy to recommend and we're already thinking about what we can do in 2016!! We have just returned back home after a fantastic weekend. Everyone really enjoyed it and couldn't believe I had managed to find such a unique location. It far exceeded my expectations. My wife was absolutely thrilled with her 40th. The Crewe and Harpur is beautiful and so well equipped that it made the entertaining really easy. We have had an amazing time at the Crewe and Harpur, the venue was superb, the support we have had from the whole team was first class. We all had the best weekend ever at the Crewe & Harpur this weekend, I had the best birthday. All my friends are now just trying to think of a reason for us all to return in the future!! It was perfect venue – thank you! We had a great time and the venue is amazing. We will definitely be recommending it to other people. 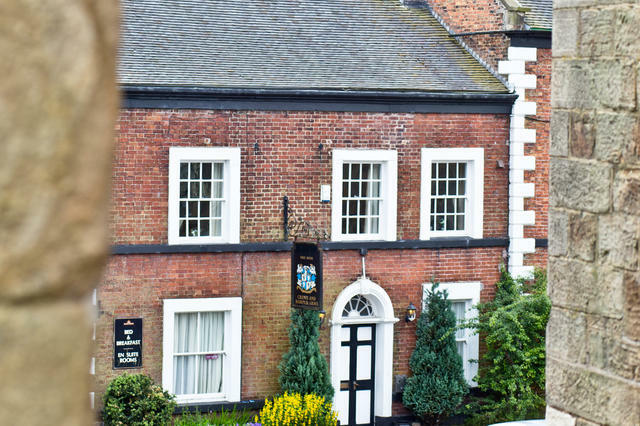 We had a fantastic stay in the Crewe and Harpur and adjoining cottages. 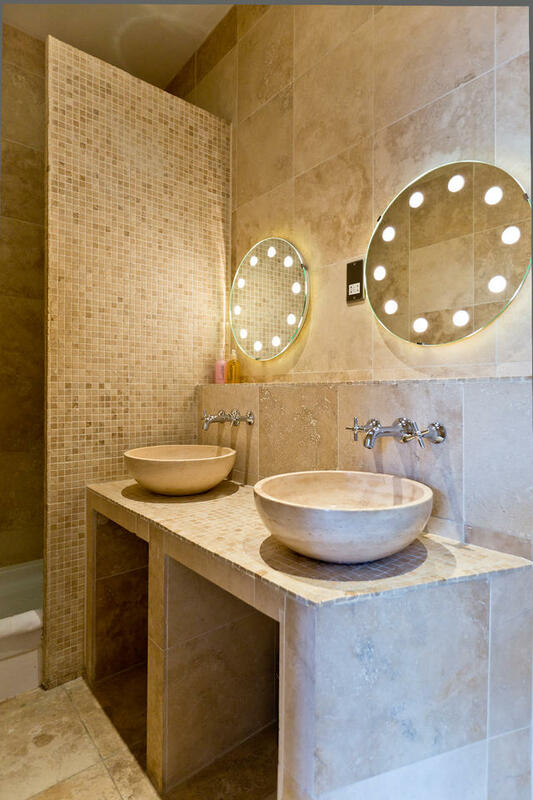 The place was amazing with very high standards of equipment and furniture and new bathrooms and bedrooms. Perfect for a get together with friends and family. The bar area was a hit with everybody as was the pub games available to use. The lounge gave people the space if they needed to escape for a moment. 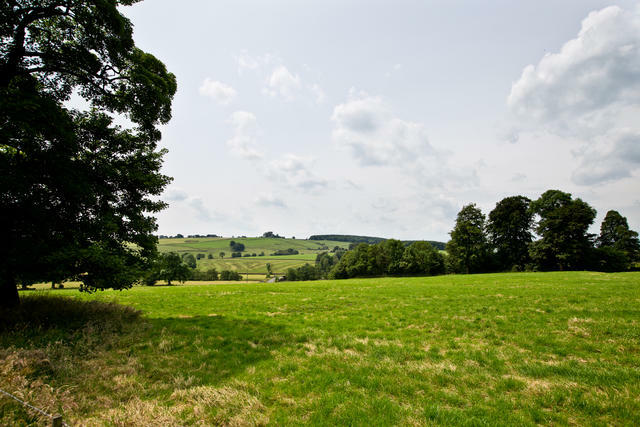 In a great area for walks and Bakewell and Buxton nearby too . The staff at Peak venues were very helpful and professional nothing was too much trouble !!! Would highly recommend. We booked the venue for my 60th birthday. Our group was a mix of ages including 23 small children. The venue was superb. The bedrooms were all of a high quality especially those in the main house. The bar provided a fun element and my sons and nephews all loved pulling their own pints Everything was of the very highest quality including the wonderful kitchen, just right for cooking for a large number of guests. Having the stone floor in the main room was great particularly as we had our 2 Labradors with us. Overall, there is no area that could be improved as we had the best weekend we could possibly have had. Hi Paul, I can’t begin to describe what a fantastic time we all had at the Crewe and Harpur. The weekend was absolutely brilliant and all the guests commented on what an amazing place it is - the photo’s and comments on Facebook are still flying about, and a few of us are still recovering after a pretty heavy party weekend! Many, many thanks to you and all who look after the Crewe and Harpur - we will be back soon!! Thanks for having us and it certainly did meet our expectations and more. The venue was excellent and both of the pubs in the village made us all very welcome. Once again a big thank you from myself and everyone else who was there. The stay at The Crewe & Harper was fantastic!! Can’t fault the accommodation, we had everything we needed. The service we received from you all was excellent, and made the whole booking experience very smooth from start to finish along with your flexibility throughout. Look forward to booking with you again! The weekend was a great success everyone was very impressed with the venue. The Crewe and cottage’s brilliant and so much room everywhere it was a weekend to remember I am sure we will be back, I have passed your details onto my friend she is looking at New Year I took a video of the Crewe to show her and she was very impressed so hope you get more bookings from this weekend. Thank you for your email. We had a fantastic time at The Crewe and Harpur and will most definitely be leaving positive feedback and recommending this to other people. We will also be looking at returning ourselves in the near future. The Crewe and Harpur was a brilliant venue for our family Christmas with everyone comfortably accommodated. We were more than well equipped with everything we needed for feasting and drinking. One suggestion for improvement would be a large flat screen wall mounted tv in the lounge. It is very likely that we would return to this or one of your other venues in the future. Many thanks Helen. P.S. Christmas decorations were lovely. Hi to all at Peak Venues, My party of guests have suggested it should be an annual pilgrimage and I know that a family of one of my guests will be organising his own family event at the Crewe and Harpur for his fathers birthday celebrations. Everyone had an excellent time and I will be posting some very positive feedback. I would like to thank you for the wonderful time we had at the Crew & Harpur last weekend. It was a wonderful experience and your venue is one we will definitely be returning to one day with partners (thus enabling us to rent out all four buildings). Once again thank you for everything, you certainly have a wonderful accommodation. I was part of the mothers & daughters hen weekend, just past, at Longnor. I would just like to say, we all had the most fantastic time, at such a wonderful venue!! The place was clinically clean, very well equipped, had fantastic accommodation, and all in all I can honestly say, I had one of the best girls ' weekends ever!! And believe me - there have been many!! :). Thank you so much, I would, without doubt, recommend your establishment to everyone I know!! Thanks again,and congratulations for getting it SO right!! We'll be back!! We were all very happy with the accommodation and its location. Plenty of different things to keep us entertained. And we could seat us all around one table to enjoy good evening meals! Thank you so much for the best family getaway we've ever had! Hi Paul We had the most fantastic time. Thank you and you very helpful and organised staff. We had a wedding that we will never forget. You even managed to sort out the good weather (thanks Janet!). Dear Paul, Rachel, Janet and all of the people that helped us through the organisation process. First, a HUGE thanks. We are still under the magic of our stay at the Crewe and Harpur and will never be thankful enough for your precious help and patience.Thanks also to the cleaner that helped us to sort out our car problem whilst trying to head back to reality ;-). Second, we will definitely leave a feedback on trip advisor, hugely recommending your wonderful venue / accommodation but not too much otherwise it won't be possible to book it any more. "Everything was beyond my expectations. My other half was ecstatic (surprise birthday party) and everybody else had an amazing time. Unfortunately the weather didn't allow us to escape as much as we wanted to but the venue is so great that it didn't matter. We had to organise shifts for people to be behind the bar. I'm not an ale drinker but Hartington Bitter had a huge success. We will definitely come back as the location is wonderful and the setting very exciting and playful. Adults and kids will remember this weekend for a long time and a lot of us are still living the dream even a week later thanks to a very special place and team. MERCI!!!" I just wanted to thank you for providing me with a 40th birthday weekend to remember, the Crewe really is a special venue which I was worried beforehand wouldn't live up to my expectations as I was so excited about coming, but from the moment I arrived it EXCEEDED every expectation. We have had the most fun ever and my friends are now wondering how we are ever going to top that, pretty hard I have got to say. Your welcome was warm and the food in The Royal Oak was perfect and everyone complimented you on it. Thanks for your fantastic communication throughout and I hope you continue to enjoy the success you have built there, very special. Thank you for a really lovely weekend at the Crewe and Harpur, everyone thoroughly enjoyed it and thought the pub was a quirky but fantastic idea! We also really enjoyed our lunch at The Royal Oak, and thankfully the weather stayed nice for a walk afterwards. Not one complaint. This was the 5th year we’ve had a club weekend and the accommodation was rated the best. The run was excellent, especially with the weather and we may want to repeat next year! The service we received at the Royal Oak was also top class. Wow! What can I say. The best weekend ever. We all had such a ball. All of my friends commented on how beautiful the accommodation was and how novel it was to have the bar to ourselves. I can't begin to tell you how much we enjoyed our stay at the Crewe and Harpur, we had the most fabulous weekend, all my guests were very impressed with the accommodation and facilities. One couple are planning to contact you regarding a 60th birthday in 2014! The bar area in particular was a great place for such a large group to socialise, I can't imagine ever finding anywhere that will beat this. The whole experience is one that we will all remember for a very long time. I just wanted to let you know what a fantastic weekend we all had. Everyone loved the pub and the accommodation was of a very high standard. You have all been very helpful from start to finish and I have recommended your venue to a number of people. An absolutely fantastic venue for a 30th birthday party which could easily accommodate 32+ people. The whole place is pretty much set up from the days it was a working pub and hotel and as such is a very surreal environment. We just couldn't wait to settle in and for me to become a landlord for the weekend. The owners very helpfully suggested a number of caterers and we had a great dinner on Saturday night which didn't require any of us to lift a finger. This was followed by dancing and drinking in the bar area - the large space easily accommodated everyone. We hardly used the adjacent living room - it was just much more enjoyable in the pub! As for the accommodation, it's absolutely superb. The cottages are much larger than I thought they would be and were all made up to a very high standard. All in all a fantastic venue and I couldn't recommend it highly enough. We had a great time at your amazing venue. Thanks to your team for making everything go so smoothly. 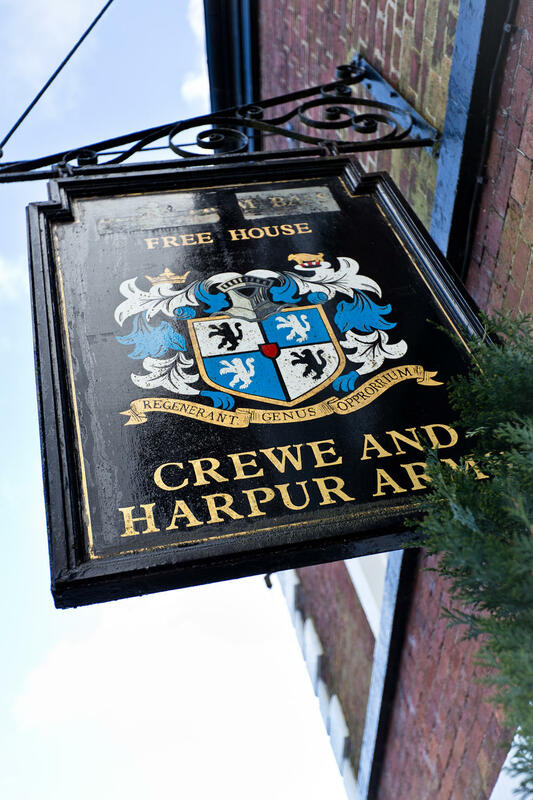 I will definitely be recommending the Crewe and Harpur to everybody I know. Thanks very much for a great weekend for my husband's 50th birthday at the Crewe last weekend. All our guests really enjoyed it. All of the rooms were of a very high standard and everything surpassed our expectations. The bar area was fantastic and we spent most of our time in there. The location was great and although the weather wasn't great there was plenty of places to go. 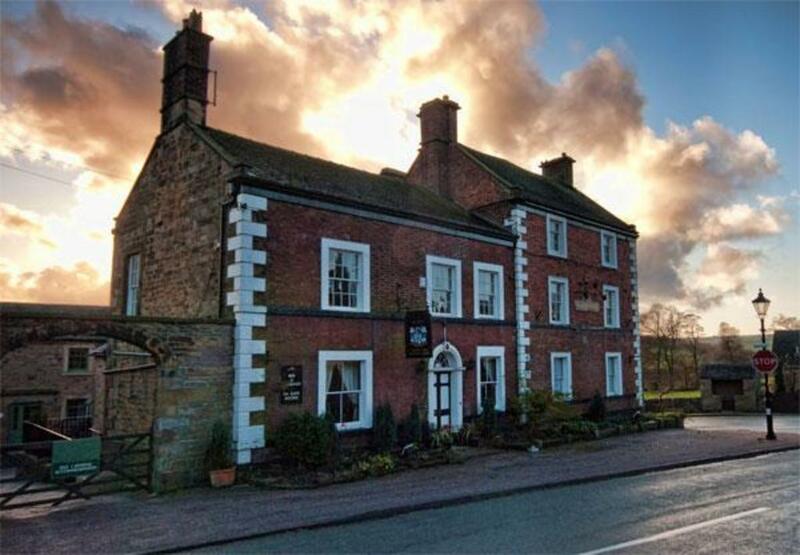 We also had a fantastic Sunday lunch at the Royal Oak which everyone was really impressed with. Hi Thank you for providing such a great location and venue for my recent weekend house party. All my guests loved the venue and found it interesting and most of all, very comfortable. 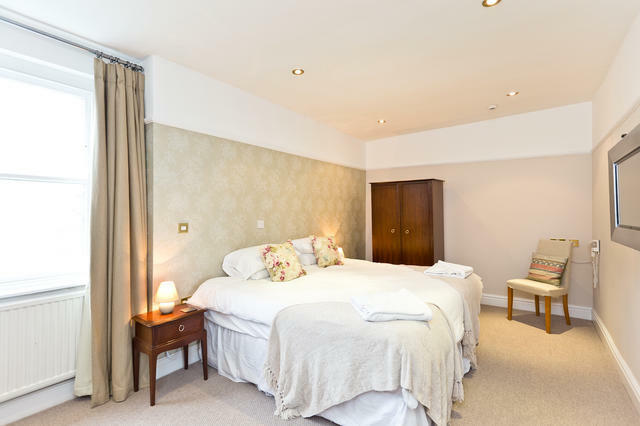 I had some friends and family in the cottages which suited very well and were well appointed. The Crewe and Harpur itself - all rooms really great and the en suites were fantastic. So we really really loved the place and the village location is stunning with a number of valleys converging to provide great scenery too. I know that at least one of my guests will be recommending you to her family members - she took the details!! Many thanks. A fantastic venue we were lucky to find! Thank you all for a wonderful weekend everybody is raving about it and we will cetainly be spreading the word. Thanks again for a very memorable weekend. Just wanted to say The Crewe + Harper and all the cottages were amazing. My friends, family and I had a fantastic long weekend celebrating my birthday. I had my hen weekend at the Crewe and Harpur and it was immense! The venue is gorgeous and a brilliant idea for a big group - the run of your own pub for the weekend! We had the pub and one of the cottages - we loved every minute. We took on the theme of being in the pub with a pub quiz on the Friday, and took in some fab views on the Saturday with a walk to the Pack Horse Inn. It was great to be able to have a party back at the C&H on saturday night too. My friend who had planned the weekend had done a big Asda shop to see us through which I'd also recommend doing. It was an amazing weekend and I'd recommend it to anybody. We had a fab weekend thank you - it's such a great idea. Everybody I've told can't get over what a brilliant set up it is! Many thanks. We had a fabulous time everyone really enjoyed the weekend and the Crewe and Harpur proved to be a perfect venue. Thank you again for all your help. On behalf of our whole party, I would like to say a very big "thank you" for the loan of the Crewe & Harpur. We had a ball! In hindsight, I don't think we would have changed anything and I only wish someday we will be able to do it again. We hope to be able to return to your part of the country again one day and you will be our first port of call for accommodation. Our entire group had a sensational time at the Crewe and Harpur; I've been to a number of similar events (40th birthdays mainly..) but nothing has got the kind of feedback I've been receiving this week. Everybody absolutely loved it and we are definitely going to book it again for next year. Thanks once again for a great venue - it was truly memorable. I've just arrived home after spending the weekend in The Crewe and Harpur and wanted to write to let you know what a great time we have had there. The pub / main bar room was everything we expected and hoped it would be and everybody enjoyed themselves immensely. What really took us all by surprise was the quality of the accommodation in the various properties and I heard a couple of guys talking about coming back to you in the future for various impending family get togethers. It's not often that I go on a stag-do and people are keen to return to the venue with their family in tow. Our weekend was a tremendous success.... lots of budding barmen and women!! (which probably accounts for more than a little wastage! ), the Hartington Gold was also a great hit with men and women – yep real women drink beer!!!! 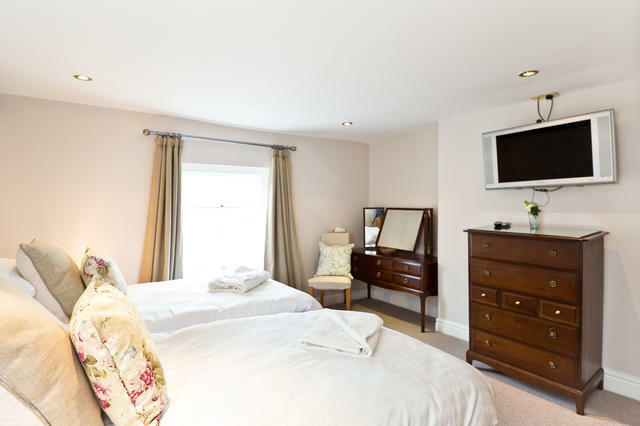 The rooms, both in C&H and cottages were very comfortable and spotlessly clean (we had some very picky guests believe me!!) and lovely and warm. We wish to recommend Bob Findlow of Grough-Stuff Walks – he was very helpful in organising a suitable walk and made it interesting too. He has left some business cards in the C&H. The meal that Peak District Foods supplied on Saturday evening was out of this world...how they attained such a high standard of food after travelling was just impressive. Again not one complaint!! On Sunday evening the remaining six of us visited The Royal Oak for a meal, the staff there were lovely and friendly.... the food was fantastic! Thanks again for helping us celebrate Judith’s 50th birthday.... there were lots of people talking about returning again! Just wanted to let you know that we had a fantastic weekend at The Crewe and Harpur. The venue was great and all of my guests really enjoyed themselves. I am sure that we will be in touch again as several of my friends have important birthdays early next year and the pub is a brilliant venue in fantastic countryside. just got back from the best weekend ever. stayed at crewe harpur celebrating a 40th birthday. what a fab place to go and what a brilliant idea converting a pub in this way!!!!!! We all had a wonderful, relaxing Christmas and the Crewe and Harpur was the perfect venue for this. I would like to thank you for all your help whilst we were there. We had a lovely stay at the Crewe and Helen had a fabulous hen weekend in the Peaks. We also enjoyed two lovely lunches at the Royal Oak! We had a great time and everyone thoroughly enjoyed it.We will definitely be returning to the Crewe & Harpur next year and I will be in touch soon to organise dates. I would strongly recommend the Crewe and Harpur. I booked the Crew and Harpur and Etwell Cottage for my 30th birthday weekend and it was an amazing weekend. Everyone was really impressed that I managed to find such a great place and I have no doubt that we will be returning. Everything at The Crewe and Harpur worked out really well, except the weather, although they did not let that ruin things. The accommodation was great and just suited what they were trying to do. They did "come dine with me" and went for a 80's theme on Tuesday night which was great fun and even had the music playing and some old adverts too. I think they struggled to get up on Wednesday for the paintballing but the fresh air did them good and a leisurely walk after that was just what they needed. Thank you for all your help. If we ever need anything similar again we will know where to come. Just a short note to thank you for the use of the Crewe & Harpur, the meeting was very successful and all delegates enjoyed themselves. If you could extend our thanks to your staff who were very accommodating and helpful. Perfect for what we needed. Would definitely recommend you to our friends! Royal Oak, Hurdlow – Our very own award winning pub offer open fires, hidden corners, local ales and of course ‘great homemade pub food’. Booking advised. 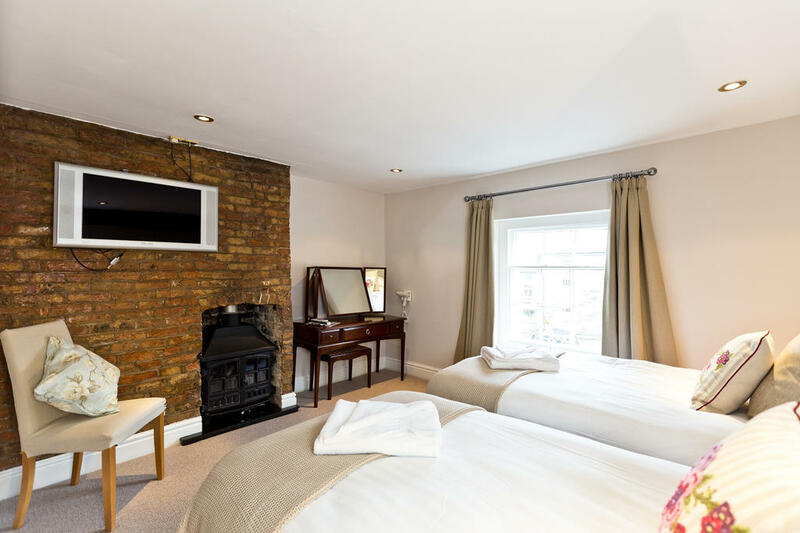 The Grapes Hotel, Longnor - Just across from the property this recently refurbished pub, is a great place for a relaxing drink and snack. They are hoping to open the main resturant in the near future. The Woodyard, Bakewell - Great location by the river in Bakewell for a family friendly Restaurant. Serves both lunch and dinner. Longnor Craft Centre and Coffee Shop - Longnor Craft Centre occupies the old Market Hall just opposite from the property. Food served all day with huge slices of home-made cake on the menu! 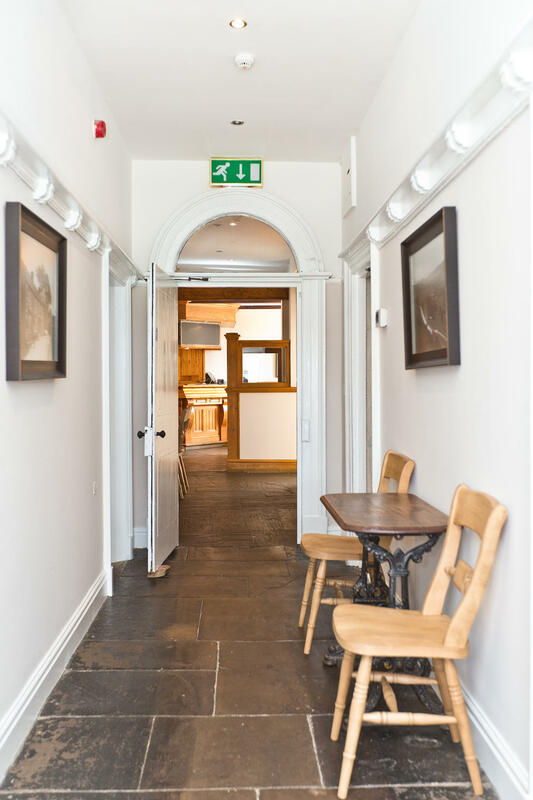 Upstairs at Charlotte's Cafe, Buxton- vintage style bright cafe serving breakfast, lunch and locally sourced food. Fully licensed. Outdoor roof terrace and downstairs chocolate shop. Hartington Farm Shop and Cafe, Hartington - A great place to refuel after along walk ! 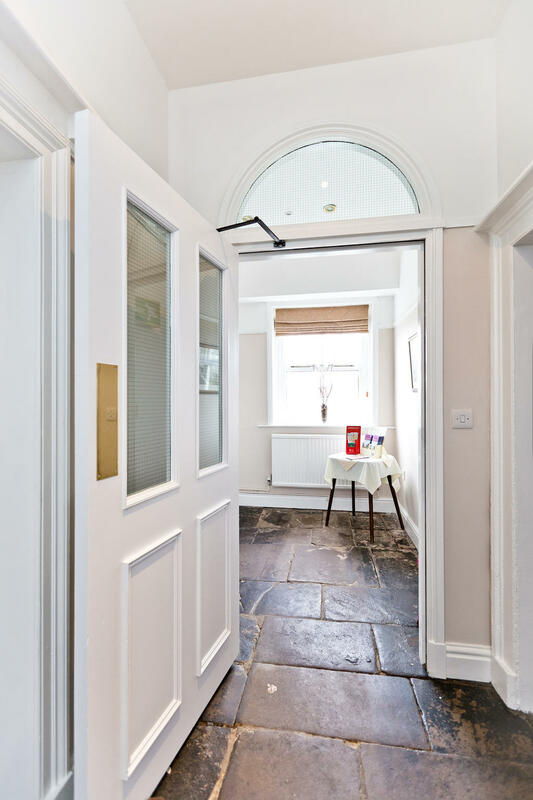 They serve breakfast, light bites, main meals, hot drinks and delicious home-made cakes. Sauced Here-fantastic selection of home made prepared meals from local chef/cooks - great for large groups. They also provide a full basket of groceries from local producers that can replace a supermarket delivery. A short but very attractive walking/cycle route along the route of the former Leek & Manifold Light Railway. Look out for the impressive Thor’s Cave and interesting rock formations along the way and stop for lunch at the lovely National trust tea rooms at Wetton Mill or take a picnic to have down by the river. Each cottage has their on TV and dvd players. There are 15 chairs and 4 benches (which can easily seat 3 people per bench) there are also 10 bar stools. There are extra chairs throughout the venue which can be moved and used if required. Noise Policy - due to quiet village location, late night noise must be confined to inside the building by 9pm. Neighbours are in close proximity.